How did I name this cheese? The “Red Flower” sounds like it's from Italy, but the influence here is Spain (“Flor Roja” just doesn’t sound as cool). Spain is where the Cardoon flower also grows and is used for specialty Sheep milk cheese. The Cardoon flower is actually purple but I like the sound of Rosso. The name is one I made up because I love the way it sounds in Italian. You see I have no bounds to a specific cheese, I love them all and I am at a point where I am only bound to the concepts in making cheese and the flavors and textures they produce. I enjoy mixing and matching these concepts to make my own unique hybrids. Aside from the name it's a beautiful cheese and deserves a beautiful name. Hence, Fiore Rosso. 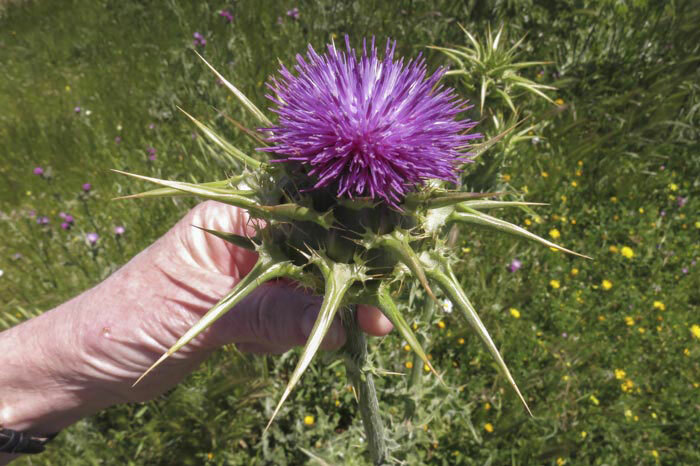 This is a new and Unique Hybrid I developed from researching and using our thistle rennet derived from the flower of the Cardoon (Cynara.cardunculus). It is a true vegetarian rennet, derived from the stamens of the flower. The rennet is very unique in how it works. Although it's similar to traditional calf rennet enzyme because it helps the proteins bind together forming a curd, it works much slower and takes longer to set a curd than other types of rennet. This guideline will create a soft to semisoft cheese, depending on the final moisture. The smooth texture is a result of the special rennet enzymes and the way they work (slow and long), effectively breaking down the proteins more completely. The reason this rennet is not more well known is because they have a history of creating bitter flavors when used with cows milk. Traditionally it was only used for Ewes milk. But, through my research I have developed ways to change the ripening profiles and overcome the bitter taste when using thistle rennet. My cheese, Fiore Rosso, is small with a beautiful washed rind that develops while it's aged. Fiore Rosso has been loosely based on a mix of characteristics of Taleggio and Robiola, cheeses from northern Italy. When using thistle rennet the cheese softens more and quicker than our other rennets. This cheese is typically ready for the table in about 4-6 weeks but will become much softer with longer aging. 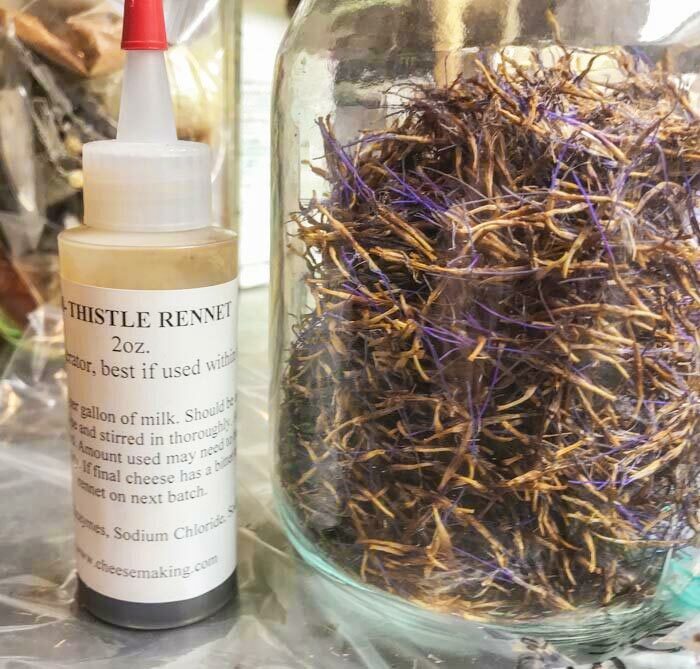 Thistle rennet also seems to create a slightly different and unique flavor that I really enjoy.